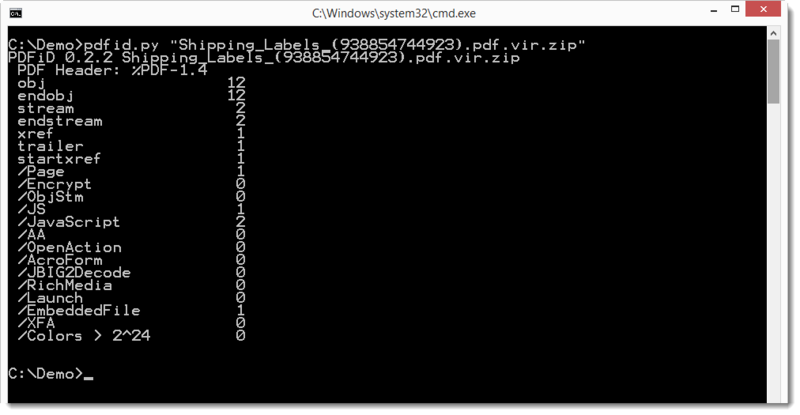 I received another example of a PDF file that contains a malicious MS Office document. Sample (MD5 0c044fd59cc6ccc28a48937bc69cc0c4). This time I want to focus on the analysis of such a sample. First we run pdfid to identify the sample.